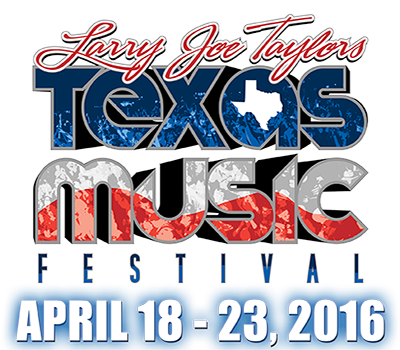 Well friends, the calendar has rolled back around to bring us one of the most magical musical events of the year: Larry Joe Taylor’s Texas Music Festival. Six days of music and memories being made onstage and around campfires with friends old and new. Coined “Redneck Woodstock” by Roger Creager onstage at the 2000 festival and referred to as “Our own kind of Bonaroo” by Johnny Cooper in 2009, LJT’s Texas Music Festival is the ultimate festival for Texas and Red Dirt musicians and fans. Depending on how long you choose to stay, it’s several days of music, mullets, BBQ, chili, tents, flags, music, doctors, lawyers, college kids, high school kids, music, hippies, rednecks, old friends, new friends, “Goodnight Moons”, “Tequila Sunrises”, campfires, tents, boats, RV’s, campers, music, newcomers, legends, cowboys, fun, music and much, much more. Every crowd is represented and respected. The young college revelers are respectful of the older music fans and vice versa. The good time vibes fill the grounds of beautiful Melody Mountain Ranch. Over the past few years, the unruly shenanigans of a couple bad apples have attempted to sully the good bunch of people, fans, artists, promoters etc that make LJT what it is. If you see someone acting like an out of control a-hole deal with them or report them. You’re as likely to hear the best song you’ve ever heard from the guy camping next to you as you are to hear Reckless Kelly perform onstage. And it just might turn out the guy camping next to you and bumming beers is some guy named Riggs or LaRue. Music starts each day at noon with acoustic acts at the acoustic Allsups stage where idle conversation is discouraged. The music transitions to the mainstage around 4PM for some of the most energetic sets from some of the best bands you’ll see all year. The nightcapping sets can grow pretty rowdy and are a ton of fun. A new addition of the past few years is the T-Bird’s Garage Pub: home of bloody mary mornings and late night singalongs. You never know where your favorite artist might pop up. It’s Texas Music nirvana, the event of the year, every year. Days full of no worries except making sure you get to the stage with enough beer to make it through the show. No cell phones, laptops or other such modern nuisances. Just the open Texas sky, a sea of tens of thousands of like-minded music fans from all over the country, and true serenity. Words cannot express how special the Larry Joe Taylor festival is or how important it has been in exposing new talent and developing this scene. Larry Joe, Sherry, Zack and Martha…along with all the countless volunteers, sponsors and vendors make this a smooth run event with nothing but fun to be had. I hope you’ll consider joining us this year. Check us out on Twitter (@galleywinter)/Instagram (@galleywinterlive)/FB (/galleyw) as we’ll be updating as much as cell service will allow. See y’all at Melody Mountain. MONDAY: Yes. Some of you crazy SOB’s are going on Monday. You will be treated to the tunes of Randy Brown and Gary P. Nunn…it’s gonna get western. TUESDAY: This is the big day that many, many folks are looking forward to. It features the return of 6MarketBlvd and an extremely rare performance from Texas soul/rock firebrand Josh Weathers. Weathers should hit the stage around 7:15ish with 6MB to follow. Stoney closes the night out. If you’re one of the lucky few with a 5 night ticket…this just might end up being the highlight of the week. Or year. WEDNESDAY: Things move into another gear, although not full pace just yet, on Wednesday. The Allsup’s Stage kicks off with a performance from contest winner John D. Hale at noon and will be followed in order by The Black Lillies, Zane Williams and Radney Foster. The mainstage begins at 5PM with last year’s fest stealer Sam Riggs who gives way to one of the most exciting names on the bill American Aquarium. Not even going to mention that it’s 4/20. THURSDAY: We’re at top speed now. The grounds will be filling up by Thursday afternoon. Songwriting legend and guru Richard Leigh kicks the music off at the Allsup’s stage on this day. The group Sister C is a cool addition to the line-up. This band of sisters may provide some female harmony firepower that is normally lacking at LJT and most festivals. The Last Bandloero’s join in around 3PM. If you’re unfamiliar with them, this set should blow your mind. Things meander over to the Bud Light stage at 5 for a traditional Thursday closing 1-2 punch of Wade Bowen and Randy Rogers Band. FRIDAY: A lot of knowledge and wisdom will be dropped on the Allsup’s stage on this day. The Rev. Walt Wilkins headlines a group that includes Mike McClure, Tommy Alverson, Max Stalling, Keith Sykes and Ray Wylie Hubbard. Every fan new to this music and every aspiring songwriter should come see what they can soak up from this crew. Friday night features a dancehall packing lineup with William Clark Green sandwiched between Mark McKinney/Bart Crow and Fowler/JAB. WCG is probably the hottest ticket of this group at the moment, so him going in the middle is a good way to maximize the night. A fun group all around. SATURDAY: You’ve lost steam. You’re hungover, sunburned, sleepy and weary. Then you hear the soulful sounds of Luke Wade booming from the Allsup’s stage. Aubrie Sellers brings her country chanteuse act behind him. The Tejas Brothers will have you dancing jigs in your rainboots before you head to the mainstage for one last night of cranked up music. Cody Canada, Reckless Kelly and Roger Creager will add to the pandemonium before the man himself, LJT, closes it out with any and all musicians still on hand. The last official performance will be our GW LJT Giveaway artist Dalton Domino jamming a 21 & up gig at T-Bird’s. The campfires will be raging each night. There will be music pretty much 24/7. Full band. Acoustic. The cacophony of generators, hollers and diesel engines make a music of their own. Buckle up kids…year 28 will be another good one. Hydrate. Bring: water, gatorade, booze, sunblock, clothes for all conditions, tobacco, firewood, snacks, cash (although they have ATMs), your friends and your mother’s prayers. hello!,I really like your writing so so much! percentage we communicate more approximately your article on AOL? I require a specialist in this house to solve my problem. Maybe that’s you! Having a look forward to peer you. I just want to say I am just newbie to blogs and seriously savored your web page. Almost certainly I’m planning to bookmark your blog post . You actually come with awesome posts. Regards for sharing your blog site. I dont usually post on many Blogs, still I simply needs to express gratitude continue the spectacular work. Ok unfortunately it’s once again time to get at school. Generally I do not learn article on blogs, however I would like to say that this write-up very forced me to try and do it! Your writing style has been surprised me. Thank you, very great article. Hello, Neat post. There’s a problem together with your site in internet explorer, may test this¡K IE nonetheless is the marketplace chief and a big portion of other people will leave out your wonderful writing because of this problem. Hello there, I found your site by means of Google at the same time as searching for a similar topic, your web site came up, it seems to be great. I have bookmarked it in my google bookmarks. I do consider all the ideas you have offered in your post. They are really convincing and will certainly work. Nonetheless, the posts are very quick for newbies. May you please prolong them a little from next time? Thanks for the post.